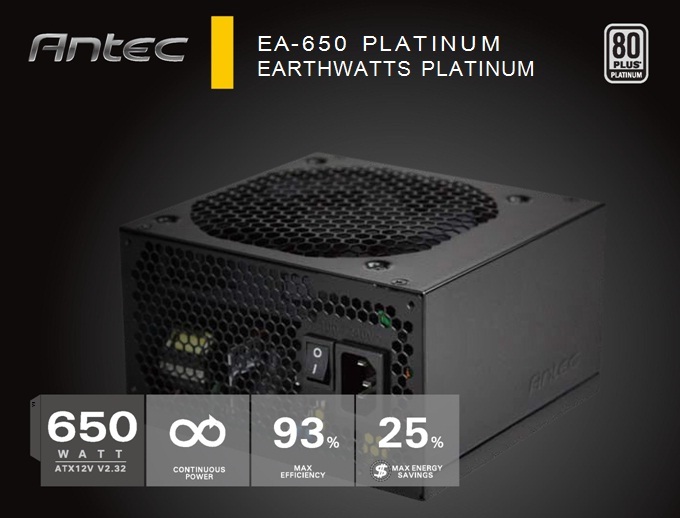 Antec just announced the availability of Earthwatts Platinum 650 in the Philippines. 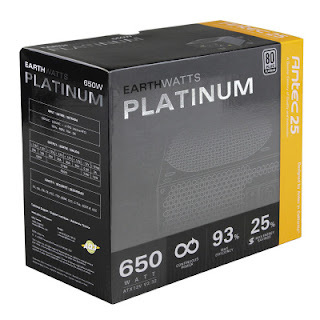 The Earthwatts Platinum 650 is one of the most efficient PSU series ever created. This PSU helps you reduce your computer’s power consumption by 25% and has 7 level of protection that makes it one of the best choices available. More details after the jump. • Save Energy and Money - Reduce your electricity bill by up to 25%! The Earthwatts Platinum 650 is now available at select distributor, resellers, e-tailers and Iontech Technologies Inc., and come with a three-year limited warranty. Manufacturer's Suggested Retail Price (MSRP) for the One enclosure is PHP5,848. 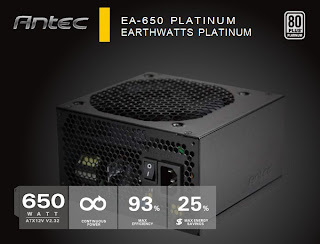 For more information on Antec Earthwatts Platinum 650, please visit the product page at http://www.antec.com/product.php?id=704513&fid=11.